This program. What can I say about it? Well, it probably saved my life. My daughter learned how to read at the age of 3 at a preschool program with absolutely no help from me. I didn’t read with her at night. There was no homework. She did it all. Then she read pretty much non-stop, even in the dark, until she needed glasses. When I finally started homeschooling her in the third grade, spelling consisted of reading a list out a large manual called Spelling Power. She got them right. Ba-da-bing. Ba-da-boom. Health issues before he was born. Sinus infection the day he was born. Almost constantly sick the first two years of life. The fevers left their mark in the form of memory problems. Also, global processing disorder. To learn to read he needed a special tutor. She was amazing! He learned to read. Then I needed to teach spelling. Phonics was confusing. I never remembered learning it. I certainly had never taught it. All these sounds marked with weird signs. Rules I had never learned. My Spelling Power book didn’t have any rules. No explanation. And my son couldn’t remember lists of words without any rhyme or reason. English is a complicated language. 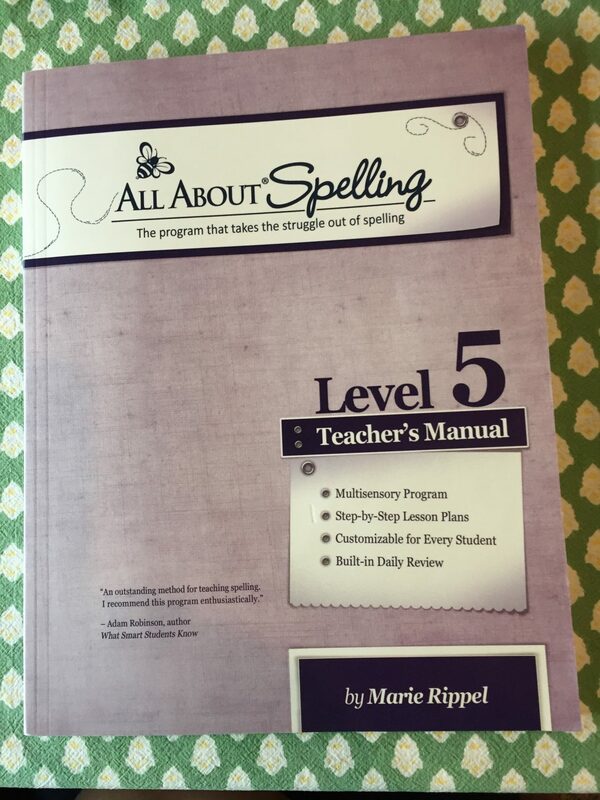 All About Spelling promised to explain why we spell the way we do and point out pesky rule breakers. Magnet manipulatives kept the consonants visually separate from the vowels. We could easily make a whole family of words. The teacher’s manual told me exactly what to say and what to review. Years passed. The Charlotte-Mason-style dictation has been the best part of the program for me. I have seen measurable gains in his short-term memory from using this one practice alone. We just finished Level 5! We are spelling words like perfection, averaging, gnu and unbelievable. And some hope for those of you moms also struggling in the trenches – by book 5 we barely studied. He was recognizing words from his reading just like my daughter had done. We just looked at his spelling and made minor tweaks here and there. The length of the lesson was longer than his “learning” period to learn the new words. He also quit using the magnets last year, preferring to write on a small whiteboard or just notebook paper. Feel free to join in the conversation down in the comments. 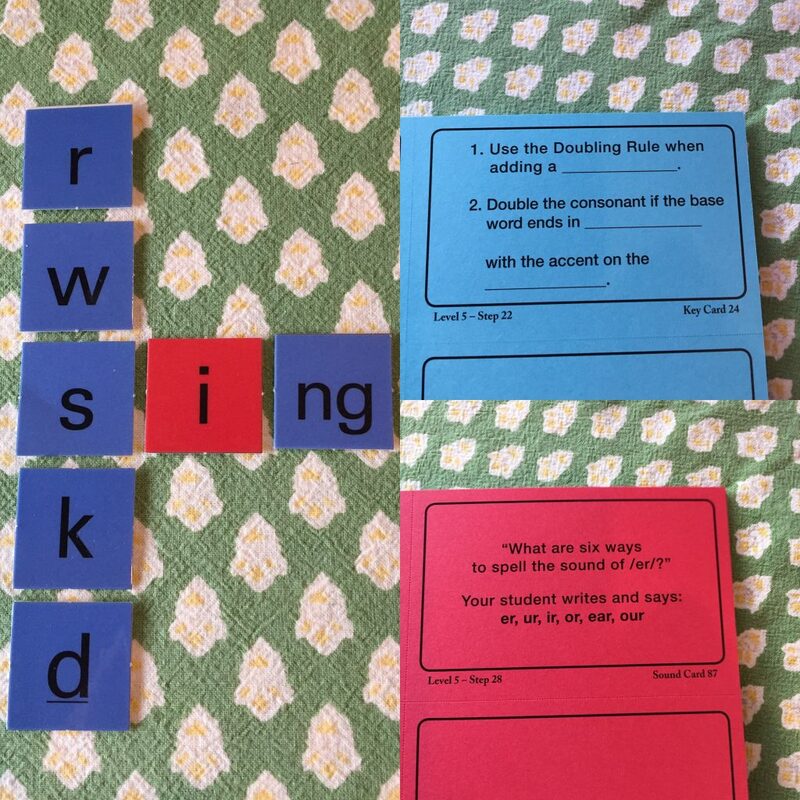 What spelling program works for you?